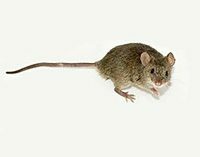 You’ve landed on the Colorado Pest Management blog page that is all about mice and rodent control! Here, you’ll find educational resources on mice control as well as proper methods of extermination. As Colorado’s premier pest control and wildlife control company, Colorado Pest Management has been serving residents and commercial businesses along the Front Range since 1989. Our team understands how troublesome mice, rats, and other rodents can be, which is why we’ve dedicated ourselves to implementing effective means of rodent control that will get rid of the problem and prevent it from happening again. Whether you’re in need of residential pest control, commercial pest control, wildlife control and exclusion, vole control, or bird control, we can help. Get your free rodent control estimate online today, or contact us today with any questions.